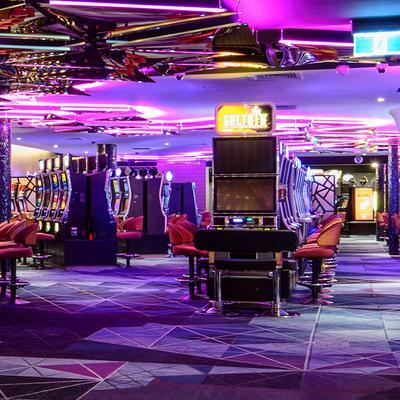 Brintons teamed with architect and interior design practice, Inaspace, to design and produce an exciting custom designed, woven Axminster flooring solution for Redcliffe Leagues Club in Queensland. The final result is mesmerising. 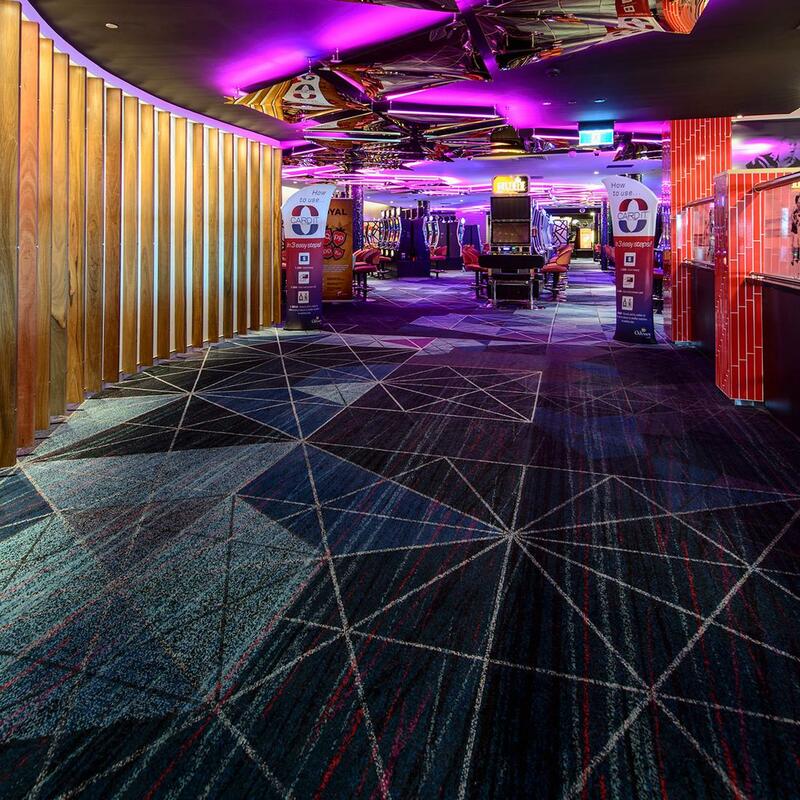 Technically exquisite, the gaming room carpets showcase Inaspace's brilliance of vision and the Brintons team's exceptional ability to craft a high definition, 24 colour, woven flooring solution. 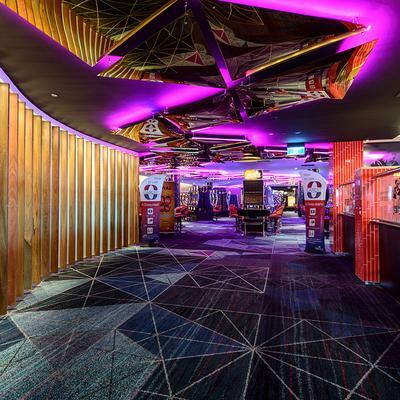 The carpet patterning builds through the lobby areas and crescendos in a tantalising configuration of meticulously drawn geometric structures, overlaid with sharp linework on a textured ground. The colour treatment is restrained to work with the club's interior, with bursts of colour to highlight the intricacies of the design. 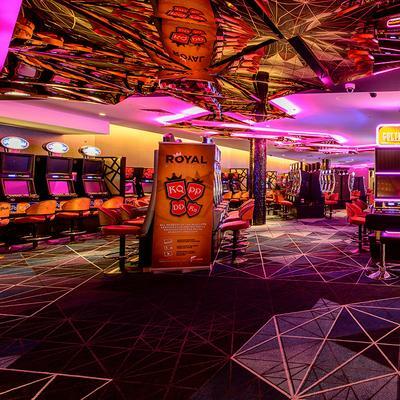 One of the club's most dazzling interior features is the mirror-effect ceiling treatment - which spectacularly reflects the carpet - doubling its visual impact within the overall interior scheme. 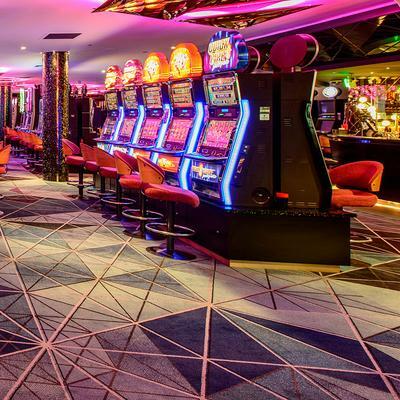 Brintons is thrilled to have worked alongside Inaspace on such a successful project where all stakeholders - Redcliffe Leagues Club patrons, management and employees and the team at Inaspace - are delighted with the final carpets. Brintons are a great industry partner for Inaspace, with a lot of expertise in their field. They are a friendly and professional team to deal with and were very patient with us when it came to developing a custom design for Redcliffe Leagues Club. A stock standard carpet wouldn’t suffice so we decided to design a custom carpet with Brintons and got them on board very early on in the project. From the initial inspirational image, through concept to completion it was an enjoyable experience designing a carpet that we love and more importantly, the patrons love. We are incredibly happy with the final result and can attribute the subtle intricacies in the design to a successful collaborative effort!